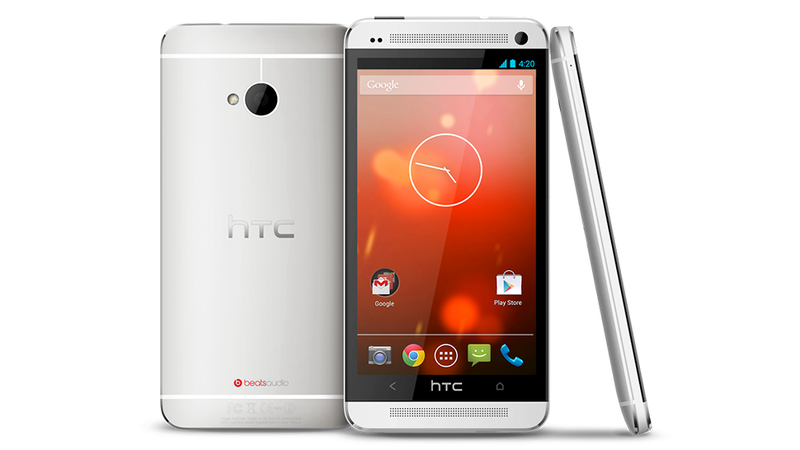 On Stage at the D11 conference, Google's Android chief Sundar Pichai confirmed rumors that an HTC One Google Edition running vanilla Android will be available on June 26th for $600. That means the best Android phone in the world will be available unlocked and without the often clunky HTCSense skin. Heck yeah. Today's announcement comes just a few weeks after we learned about the Samsung Galaxy S4 Google Edition during the company's I/O developer's conference keynote. While we're quite fond of Google's Nexus-branded hardware, it's been pretty lame that until now you've only been able to get other flagship Android phones with each OEM's skin on top of older versions of the OS. Now you can get the two hottest phones out there with the latest version of Android and regular updates.